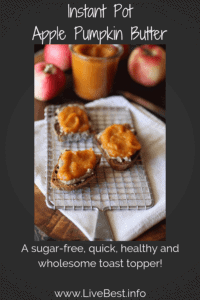 This sugar-free apple pumpkin butter recipe is a modern twist on a family favorite! The Instant Pot helped me tweak my grandma’s recipe to save time. Last spring plentiful white blossoms buzzed with bees. Now they are apples. I watched them ripen. I shooed away the deer and birds, but it wasn’t until 19 degrees was expected that I took action. I picked apples. Lots of apples. Our apple tree hit on all cylinders this year. The Haralson apple tree is a biennial fruit bearer, which yields a heavy crop one year and a lighter crop the next. This was year heavy. Now I’m in the kitchen figuring out what to do with them. If your counters are filled with apples, store them in the fridge while your contemplating your next move. Apples last ten times longer in the refrigerator than at room temperature. 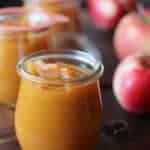 Apple butter and apple sauce are a great way to use apples that are looking bit tired. 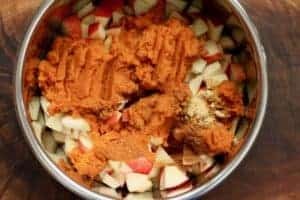 I turned to the Instant Pot to make one our family favorites, apple butter. 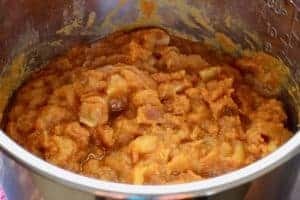 My grandma used to cook her apple butter in a copper kettle with a penny added to keep the fruit from sticking to the pot as she stirred and stirred, concentrating the apples. With peeling the apples and cooking at a low temperature, her recipe took hours, mine’s ready in minutes. I tweaked the recipe to save time and increase the healthy factor. Did you know an unpeeled apple gives you fifty percent more phytonutrients than a peeled one? I left the peel on. This recipe is sugar free because I wanted the apple flavor to shine. If the apples you use are tart, up to ½-cup honey, maple syrup or brown or white sugar may be added. 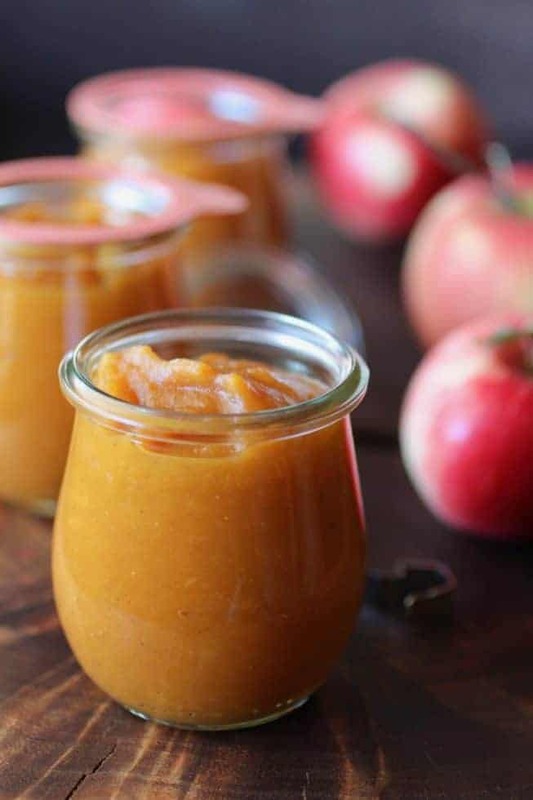 Apple Pumpkin Butter can be stored in the fridge for up to a month. These jars are perfect to keep things neat, clean and cute. All the ingredients go in the Instant Pot. Keep the apple peel on the boost fiber and nutrients + save time. It used to be a seasonal pie. Now pumpkin is everywhere. Pumpkin is good for your digestion, skin, eyes, and blood pressure. Beta carotene is responsible for the orange color and pumpkin is one of the richest sources of this powerful cell protector. 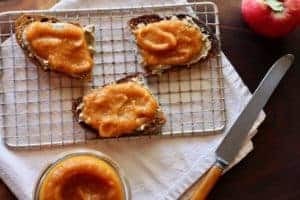 So I added a can of pumpkin puree to the now apple pumpkin butter which falls in to the Recipe Redux challenge to feature pumpkin. 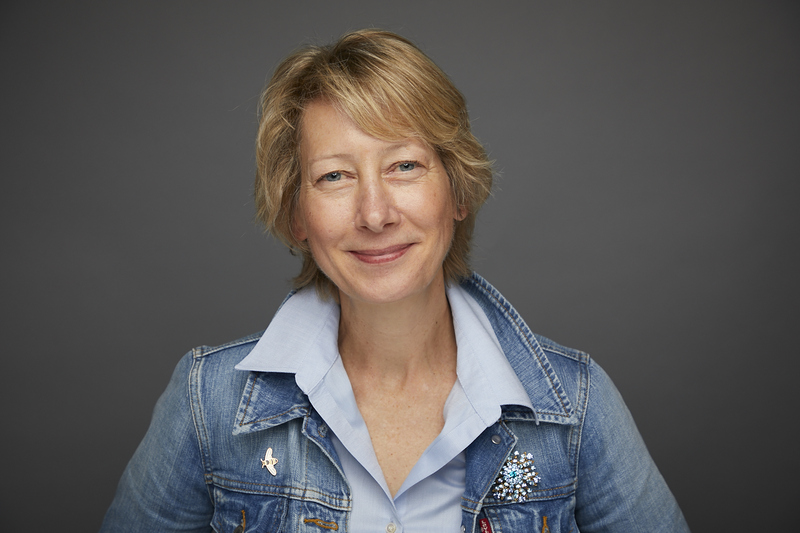 Check out how my creative fellow food bloggers are using pumpkin. What are the best apples for cooking? If you don’t have an Instant Pot, pull out your slow cooker. Cook on low heat 4-6 hours. Stir occasionally to prevent sticking, no penny required. P.S. 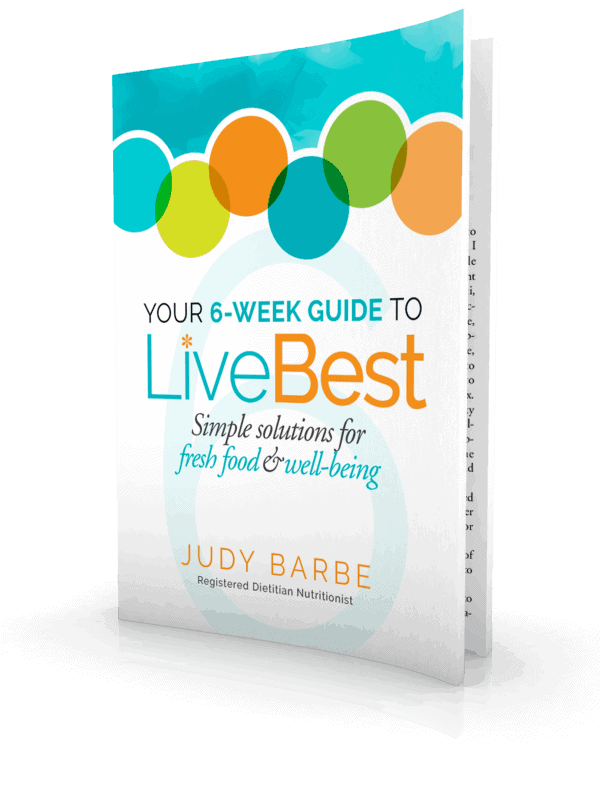 Want more get healthy living tips and recipes? Sign up for my newsletter here.